At IE Law School we are excited and very much looking forward to being part of this vibrant and global legaltech startup community that is dedicated to changing the legal profession by inspiring, connecting and educating. Compared to ‘law’s Woodstock’ by Mark Cohen, a regular contributor of Forbes and CEO of Legal Mosaic, the Legal Geek Conference which will be celebrated in London on October 17th awakes a shared feeling of community that transcends geography, generation, gender, ethnicity, training and financial status. “Lawyers, technologists, financiers, entrepreneurs, students, academics, and pundits mingled freely and animatedly, joined by a sense that the legal industry is changing and that this is their time”, says Mark Cohen in his article. As well as Legal Geek, IE Law School shares the same vision and goal of connecting and boosting the legaltech startup ecosystem around the world and providing resources to help them thrive. Our Global Legaltech Venture Days celebrated earlier this year, connected more than 40 legal tech startups in Singapore, Chicago and México. Next year we will be launching a new edition of our Global Legaltech Venture Days and will be hosting startup competitions in different cities to meet inspiring legaltech entrepreneurs that are shaking and shaping the legal industry from the ground up (stay tuned!). The legaltech revolution is now and only those who may adapt themselves to changes will lead the way. 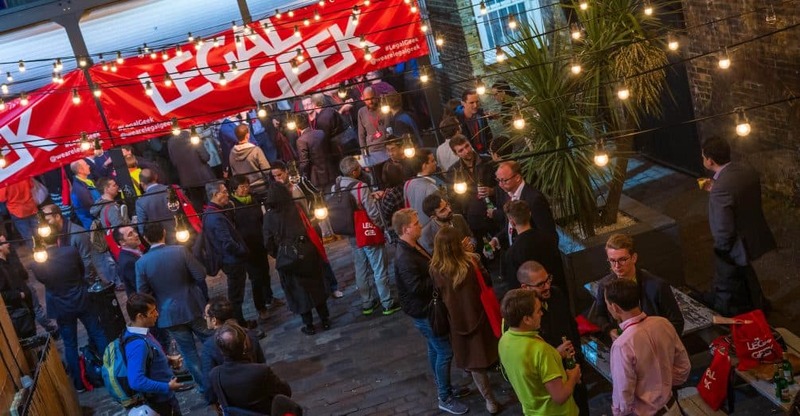 Following the Legal Geek Conference, on Thursday 18th join us for a special Master Class and learn how to embrace technology and make it your ally. In this special Master Class, Alejandro Touriño will speak about how embracing technology can turn traditional law firms and in-house teams into efficient structures. 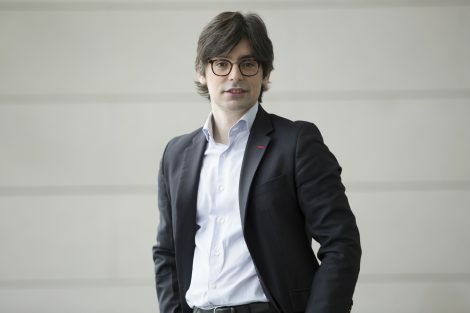 Alejandro Touriño, Managing partner of the ECIJA Madrid office and Head of Information Technology of the Firm, is President of the Section of Information Technology and Communication of the Madrid Bar Association and Director and Co-Director of several IE Postgraduate Programs, including the Master in Legaltech. Alejandro is also arbitrator for the World Intellectual Property Organization to resolve disputes concerning domain names and trademarks. He has extensive experience, both nationally and internationally, on issues related to intellectual property, new technologies and entrepreneurship law. He was awarded “Top 40 under forty” Iberian Lawyer awards, recognized as an outstanding lawyer in his practice areas by Best Lawyers, Legal 500 and Chambers & Partners, and selected as the best lawyer in Spain for New Technologies sector by the international publication IT Law Lawyer experts. Alejandro is, undoubtedly, the reference in Spain when it comes to Technology Law. Register for this special Master Class here!